In this section, you will find the snippets needed for changing font size, font color and line height for your content text on both desktop and mobile version. The changes to the text will affect modules which has comined several texts as well as standalone modules with only one text area. 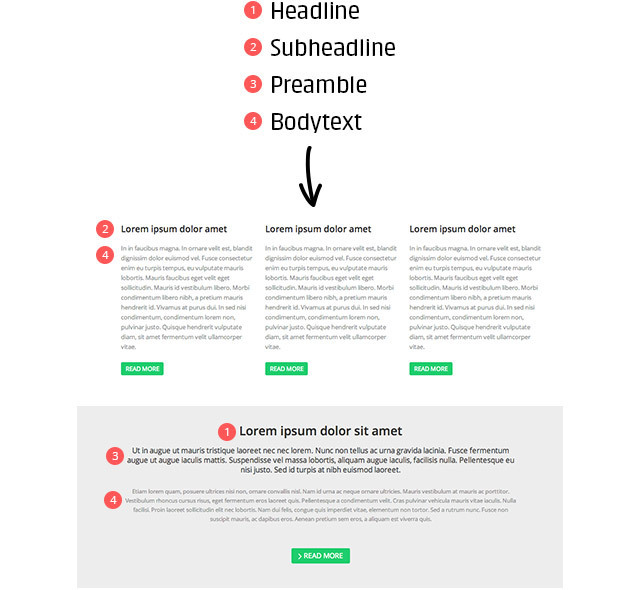 So the headline in full width modules will also get affected since it uses the same CSS class. This snippet will give all headlines and subheadlines CAPITAL letters. This snippet will make it possible to change the font size, font color and line height of your body text (P) as well as the color of links and their hover color. This snippet will make it possible to change the font size, font color and line height of your preamble text as well as the color of links and their hover color.